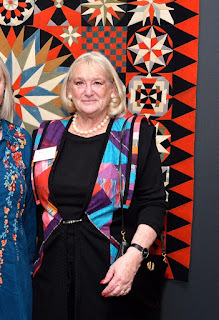 The first QSG of NSW talk for 2019 is titled “War and Pieced - Extraordinary Geometric Masterpieces and Appliquéd Quilts made from Military Fabrics” and will be given by Dr. Annette Gero. She will talk about her spectacular and now famous collection of complex geometric masterpieces and appliquéd quilts made from military fabrics and will be bringing some of these fabulous quilts along to show us. The talk will take place at 2pm on the 9th of March at The Glover Cottages, 124 Kent Street in Millers Point. 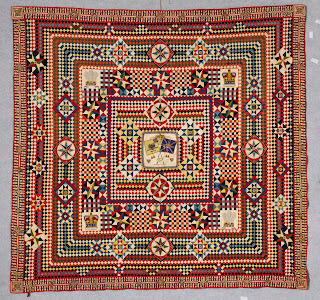 Annette’s blockbuster exhibition of quilts, "War and Pieced", has just returned from Broadway in New York where 55,000 people attended the display at the American Folk Art Museum. All were made by men however nobody knows why these quilts were made and how men managed to sew them in such magnificent style. Many have up to 25,000 pieces in a quilt. Some quilters have even started sewing their own replicas of them!!! Quilts made from Military Fabrics” is going to be on display at the Cowra Regional Art Gallery from the 16th February to 28th April 2019. 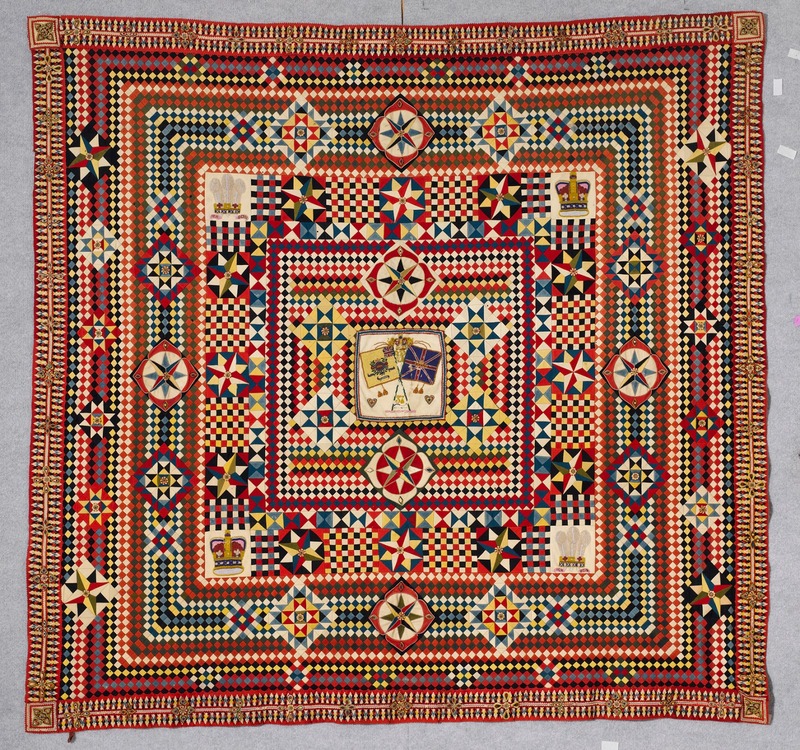 This is a wonderful chance to hear about the mystery of the makers, the fabrics and designs as well as the sewing techniques used in making these quilts before going to see the exhibition. Even if you can't get there Annette will give a detailed talk about the collection and the design of these magnificent quilts, and you can see some of her quilts from her book up close. If you have anything similar at home please bring it along. Please encourage everyone you know who is interested in quilting to come along to the Quilt Study Group of NSW talks. The Glover Cottages is a beautiful light-filled venue for the talks and it is an easy walk through The Rocks area from either Wynyard or Circular Quay train stations. Quilt NSW guild members pay $5, non-guild members pay $10. Afternoon tea is provided and the talks start at 2pm. Check the Quilt NSW website or the latest Template Newsletters for more details. 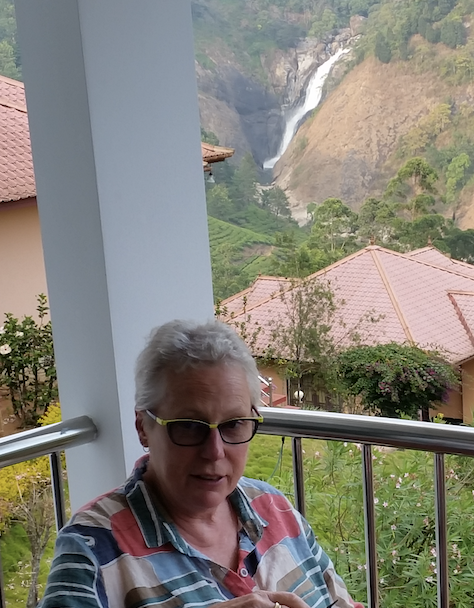 Linda Butcher will be our presenter at this Friday's Friday Showcase and has titled her presentation, "The good, the bad and the ugly!". "Although officially retired now, I have been lucky enough to make my passion for quilting my job. For almost fifteen years I worked in specialty patchwork shops and am an accredited patchwork teacher, having taught many classes at various locations over the years." Join us to hear more about Linda's passion for quilting. Friday Showcase is held in our office at 276 Pitt Street (Level 5), Sydney on the 1st Friday of most months from 10 am to 11.30 am. Members and visitors are welcome. 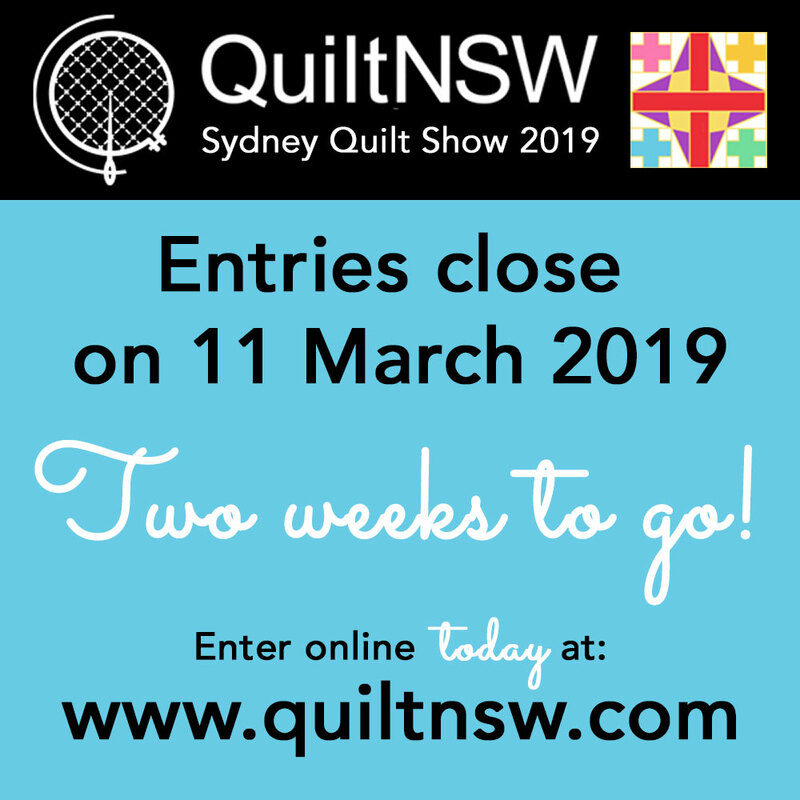 This is a reminder that entries for the Sydney Quilt Show 2019 close on 11 March. That's only two weeks away. Be kind to yourself, and the quilt show administration team, and don't leave your entry to the last minute. Enter online today! 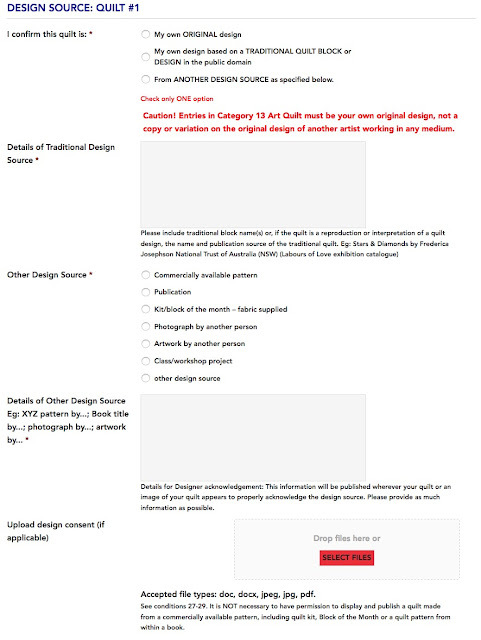 from ANOTHER DESIGN SOURCE as specified in the entry form. When you submit your entry via the Online Entry Form, you will have an opportunity to review your entry prior to submission. You will also receive a confirmation e-mail with a receipt for your payment and a copy of your completed entry form. Please let us know if you notice any errors in your entry form. 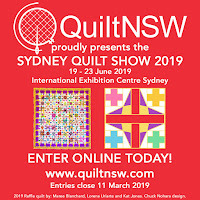 Direct other queries to quiltshow@quiltnsw.com or the QuiltNSW office (02) 9283 3737. 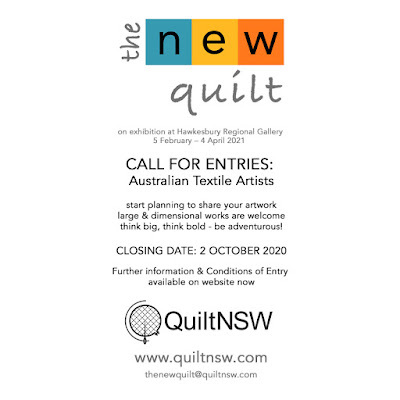 It's just under 20 months until entries for The New Quilt close on 2 October 2020 and exactly two years until The New Quilt opens at Hawkesbury Regional Gallery, Windsor, NSW on 5 February 2021 for a two month exhibition. We know that seems a long way off but we also understand that designing, making and creating takes time. Check out the images from the Wild and I Can (Sing) Paint a Rainbow exhibitions, start planning your entry and visualise YOUR artwork in this fantastic space! Hawkesbury Regional Gallery is generously proportioned so large works and sculptural/dimensional works are especially welcome. 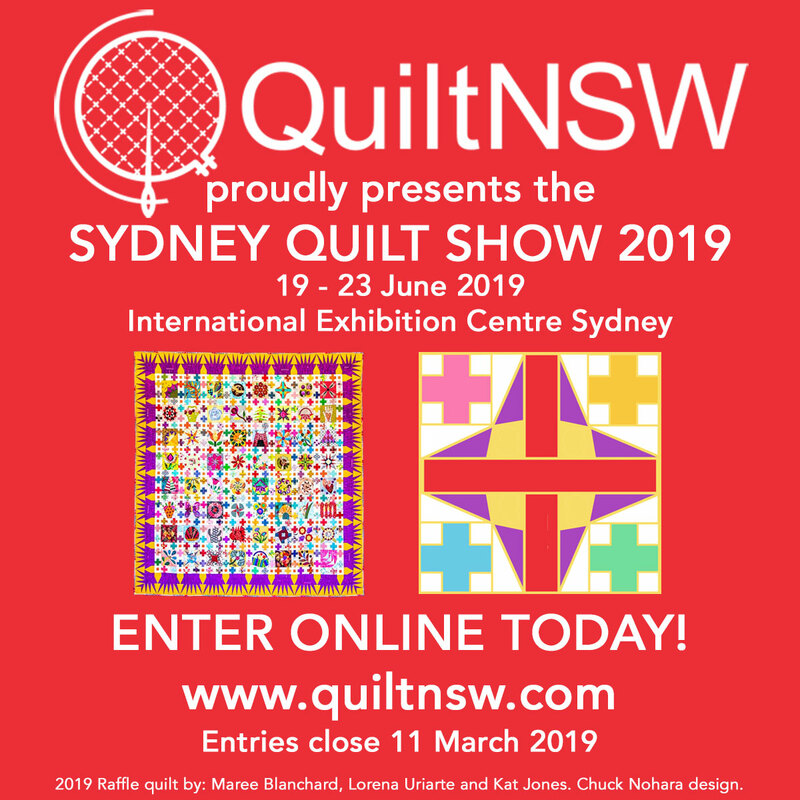 Remember, The New Quilt is a juried survey exhibition showcasing the art of quilting and is open to any textile artist resident in Australia whether or not they are QuiltNSW members. Entries close on 2 October 2020. The closing date for entries is 11.59pm Monday 11 March 2019.
as it streamlines the payment and data collection process and allows our volunteers to better administer entries. Pay by credit card through our secure ANZ portal and you’ll receive immediate email confirmation of your entry on payment. Use the Worksheet to plan your online entry. Please only submit the worksheet as a paper entry form if you do not have access to the online entry and payment process. Quilt size: The maximum quilts size is 280x280cm. Entry Fee: The non-refundable entry fee is now $30 for up to two quilt entries (except for Junior categories 18 & 19). There is no guarantee that two quilt entries will be accepted. Limit of 400 Quilts &Selection Ballot: QuiltNSW has set a limit of 400 quilts in the members' exhibition having regard to space and resource considerations. In 2019, if we receive valid entries for more than 400 quilts, a ballot will be conducted of second choice entries to a number we consider manageable. We will not be asking for voluntary withdrawals in 2019. Coverlets & Miniature: these categories will run in 2019 but are under review for future years due to low participation levels. Art Quilts: All entries in the Art Quilt category must be the entrant’s own design, not a copy or variation on the design of another artist working in any medium. In 2019, this category is open to both abstract and figurative works communicating an idea, emotion or concept through the medium of textile and stitch. Entries must be at least two layers stitched together. Pictorial Quilts: In 2019, the Pictorial Quilt category is a dedicated category open to any 3-layer quilt depicting a person, place or thing regardless of design source. 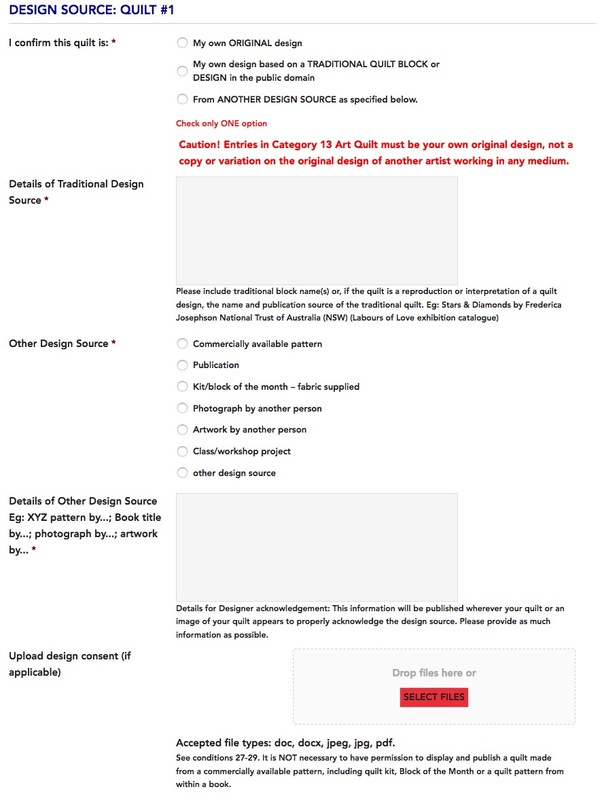 Techniques-based Categories: If a quilt does not qualify for the Art Quilt or Pictorial Quilt categories or the entrant does not wish to enter these categories for any reason, the quilt may be entered into the relevant techniques-based category. Techniques-based categories are open to any quilt regardless of style. 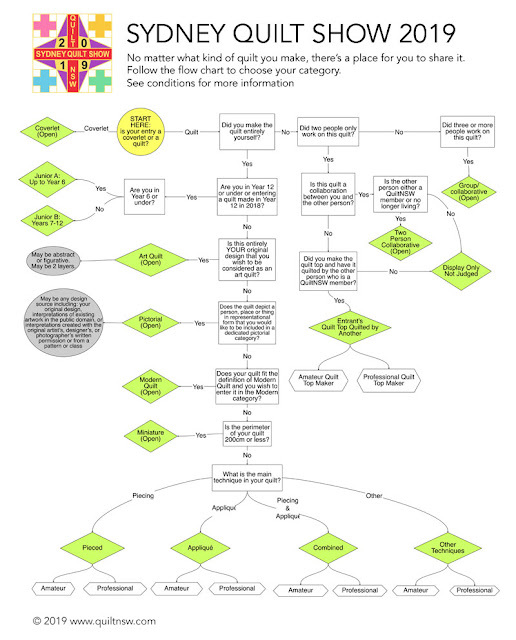 Follow the flow chart to choose your category. See the Online Handbook and FAQs. 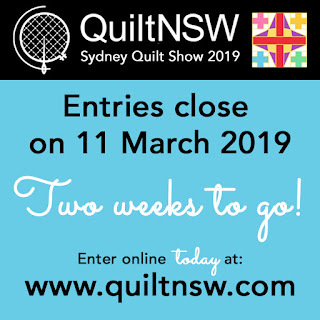 Please direct any queries to quiltshow@quiltnsw.com or the QuiltNSW office (02) 9283 3737.